ESXi is the Hypervisor provided by the VMware. 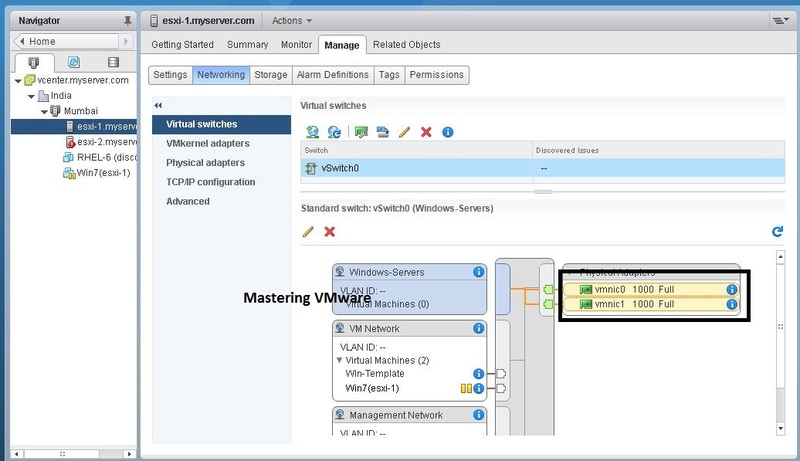 ESXi is used to virtualize the physical hardware servers. ESXi is most widely used Hypervisor to virtualize the Datacenter’s. But in this post i will help you with every options available for the system customization for the ESXi Server. 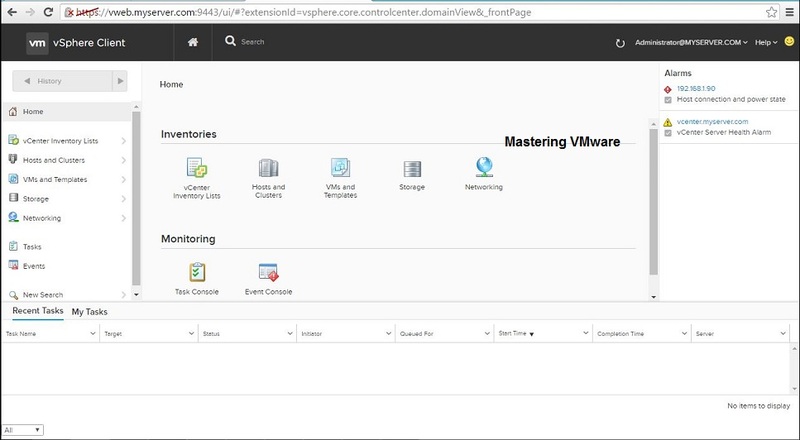 We will be doing this Customization on VMware vSphere ESXi 6.0. So Let’s Discuss the System Customization’s one by one. For the First time When you Install You will see only the DCUI (Direct Console User Interface). You can not use the Mouse in the ESXi Server Console. You can only work & make changes using Keyboard. You can check the below start screen which you get after starting the ESXi Server. The Above Section in the Grey Displays the VMware vSphere ESXi Version Details & the Server Configuration. Below in Yellow Part you see first the 2 Links or URL’s Which are ESXi Server IP address or Hostname which is used for Downloading tools which i will tell you in later which tools you can download from the URL. There are only 2 buttons are available at the bottom F2 & F12. F2 will be used for customizing the system settings & F12 will be used for system shutdown/restart. Whenever you press Any of one you have to provide the password for login ESXi server requires password each time when you login. You will use the two Keys for Operating the ESXi which is Enter & ESC by Enter you can save the configuration & by ESC you can cancel the settings or configuration you have done. After Login You will see the Customization options on the Left Side & Their Description on the right Side the Description is Very Easy to understand the options. We will take the Networking Configuration part of the ESXi in the Next Post. First Option is Configure Password which is used the change the Password of ESXi Server. By pressing Enter you can configure password .After Typing the Password you can either press Enter to save or ESC to cancel the changes. If you have vCenter Server Setup you can enable the lockdown mode so no one can access the ESXi Server from Console. If you already have added the ESXi Into vCenter & Configured the lockdown mode you can see that this option is greyed out. If you want to change your keyboard setting you can easily change your keyboard by this options there are various keyboard options are available by which you can choose any one. ESXi By default provides the some troubleshooting options. Enable ESXi Shell:- By pressing Enter You can enable to disable the ESXi shell access. Enable SSH:- You can Enable to Disable the SSH access to ESXi. 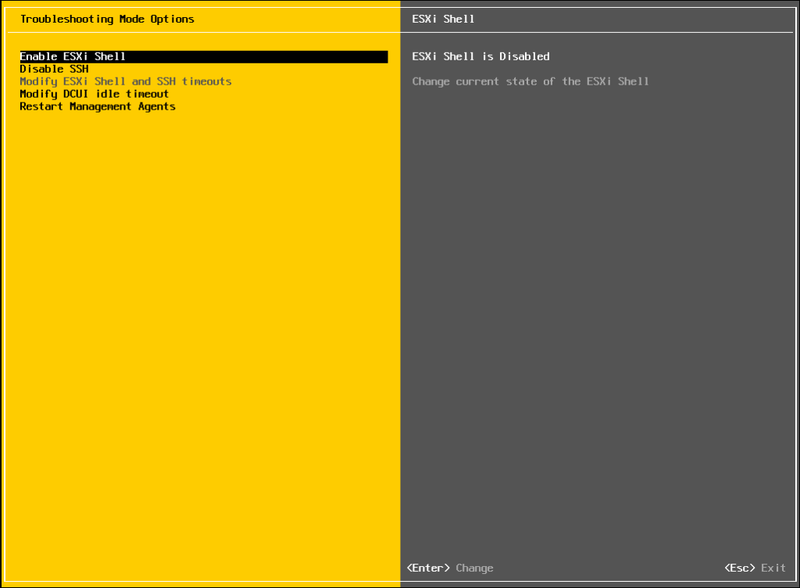 Modify ESXi Shell & SSH timeouts:- You can set the timeouts for ESXi Shell & SSH. Modify DCUI idle timeout:- You can change the idle timeout of the DCUI screen. Restart Management Agents:- You can restart the Management Agent by this option. Management Agents are used for remote management software to connect & monitor this host. This Option is used to view the various types of logs such as syslog, vmkernel logs. In this you can view your ESXi Server’s Serial Number, License, SSL thumbprint & other Support Information. This Option is used to reset the system default settings for the ESXi Server. 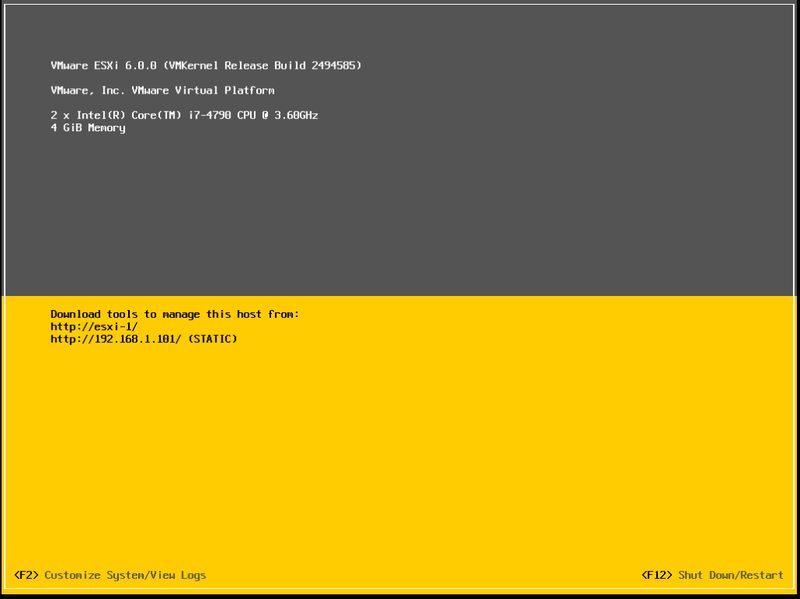 How to Install ESXi 6 Step by Step ? 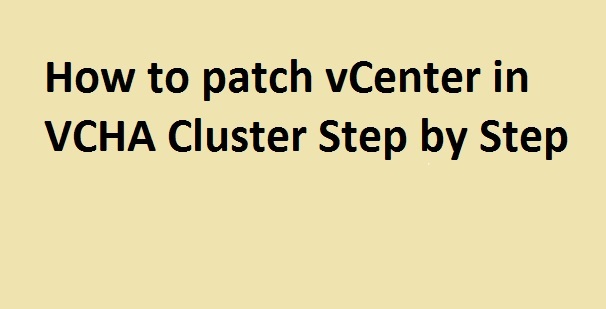 How to Install ESXi 6 Step by Step Video Tutorial ? 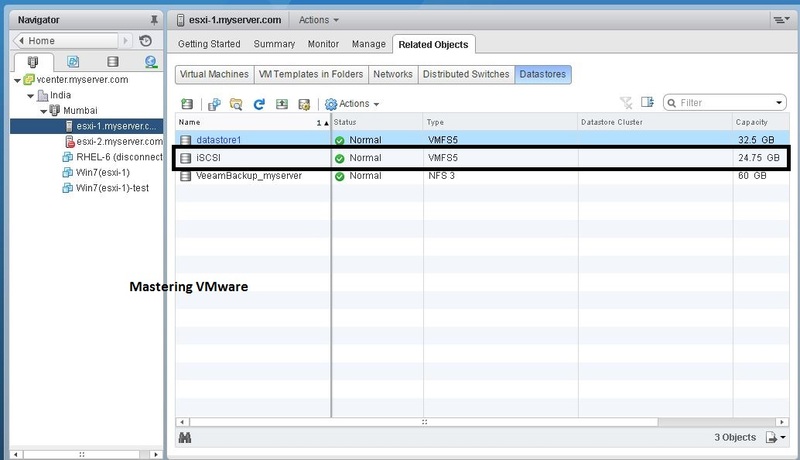 How to configure NTP in ESXi 6 ? 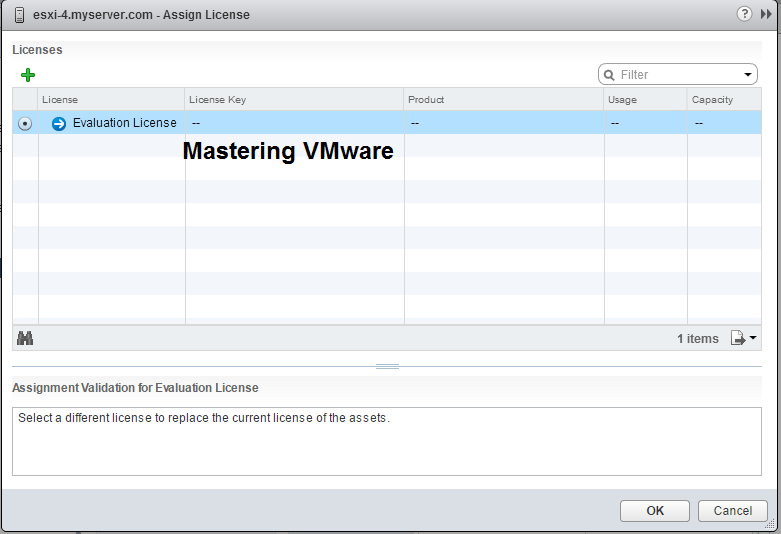 How to Assign License to ESXi 6 ?